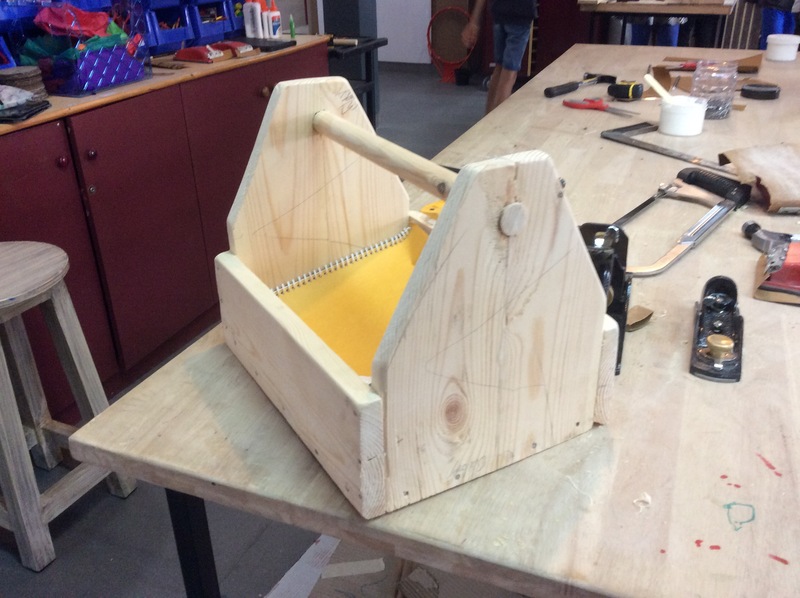 During this D&T project we constructed a tool box with Minimum adult help. 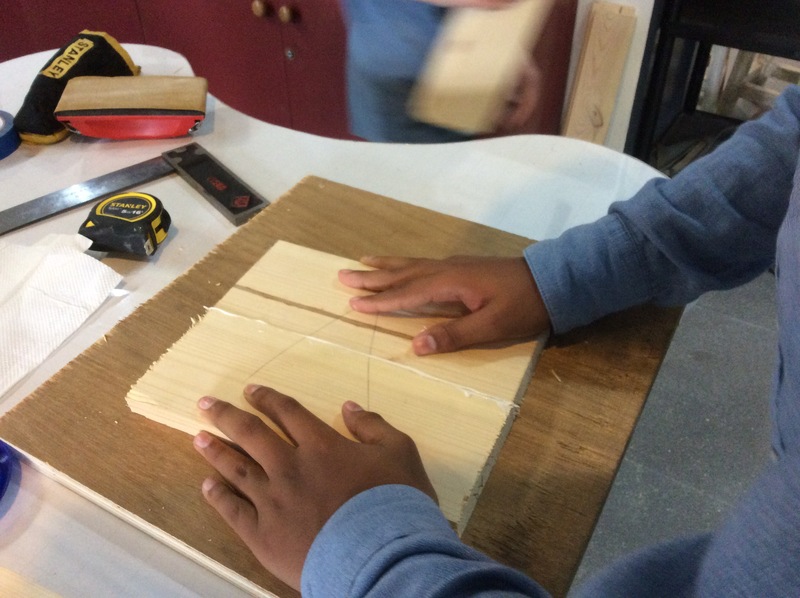 We started with cutting all the pieces of wood to The required measurements. Then for the front and back vertical pieces we had to glue the pieces together, so that they made one seamless wider plank. After that we had to get a big drill to make a hole, on the top of the plank. Then what we did was glue the side pieces onto the main board and nail them in more so that they will last longer. And then we did the same for the front and back pieces. 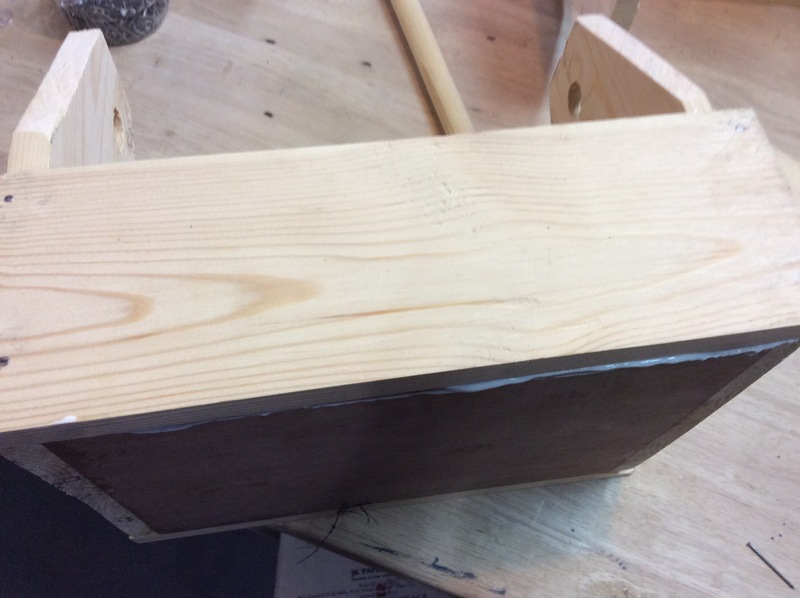 Then to glue the dowel across the tool box, I had to put the dowel halfway through the holes, then glue each end, then pushed it all the way through. After that all I had to do was sand down the whole tool box so that it would be smooth, and not a splinter hazard. The funnest part of all this, sawing the wood because it was a new experience and was exciting. A new skill was sawing wood. The tool box was quicker to build than I expected. I don’t think that I would need or want to change any of the process. 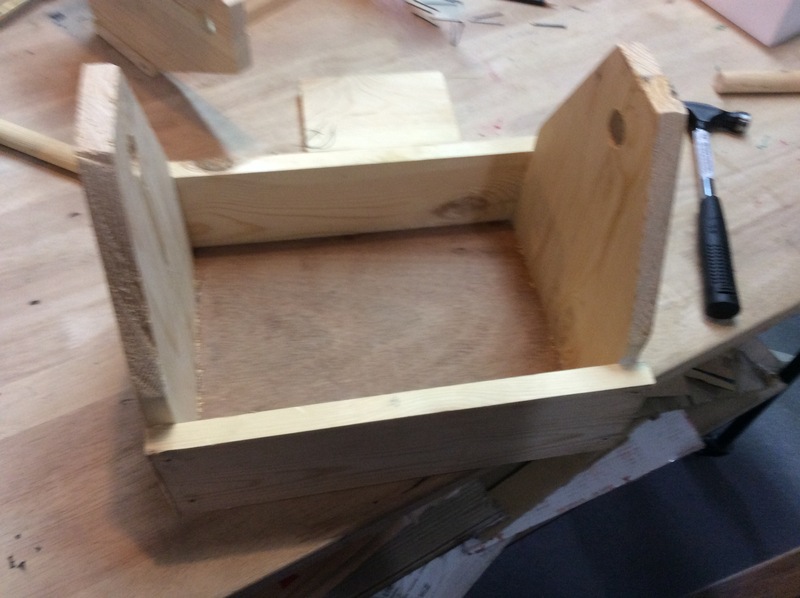 This was glueing the two pieces together so that it would make a wider board for the front and back. This was glueing the side pieces then putting the nails through them.this was after putting the front and back pieces onto the main board. This was after putting the front and side pieces onto the main board This is the final product. This entry was posted in Uncategorized by 23bmcintosh. Bookmark the permalink.